Will Addison makes no mistake with that penalty goal attempt. A gap opened in the defence and Virimi Vakatawa took full advantage. The defensive line has been broken as Henry Chavancy goes through the gap. What a run here by Stuart McCloskey as they gets over the gainline!. Racing 92 have won 120 rucks so far this game. 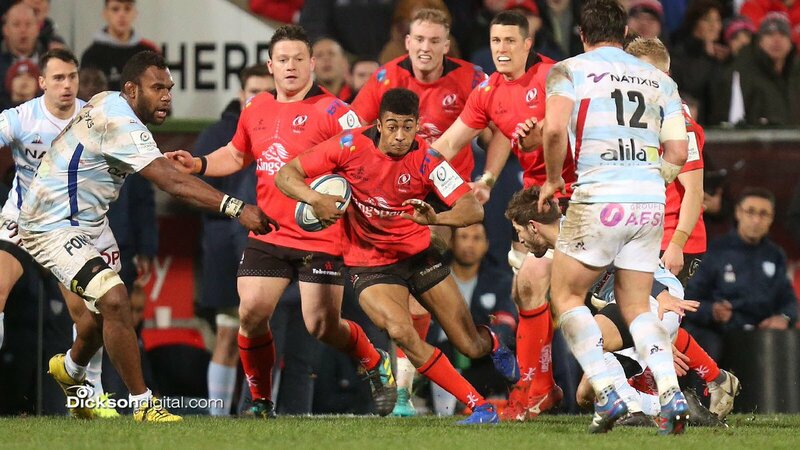 Racing 92 decide to make a substitution, with Ben Volavola getting some game time. Racing 92 decide to make a substitution, with Finn Russell being replaced. Robert Baloucoune has made 10 good tackles so far this game. Racing 92 sub Teddy Baubigny comes onto the field. Dimitri Szarzewski departs for Racing 92. Teddy Iribaren converts the try. 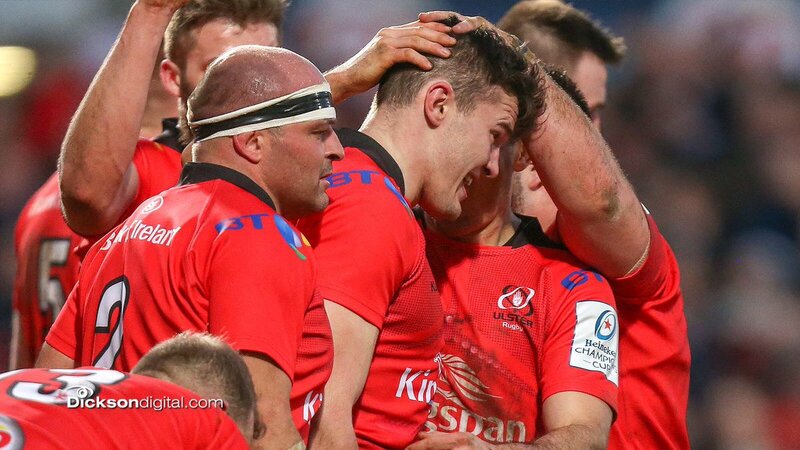 Ian Nagle comes on for Ulster. Alan O'Connor leaves the field. Antonie Claassen sets up the try. Olivier Klemenczak makes the break as the defence re-enacts the parting of the red sea. Slick passing by Racing 92 leads to a try for Olivier Klemenczak. Fabulous play by Racing 92 has led to Brice Dulin being able to wriggle through a gap. Racing 92 decide to make a substitution, with Vasil Kakovin getting some game time. Racing 92 decide to make a substitution, with Guram Gogichashvili being replaced. Racing 92 make a substitution with Teddy Iribaren coming on. Racing 92 make a substitution with Maxime Machenaud coming off. Racing 92 go for goal with Finn Russell taking the conversion but his aim is not up to scratch as the ball slides to the left of the post. Virimi Vakatawa sets up the try. Incisive passing by Racing 92 is finished off by Brice Dulin, as he goes over for the try. Trouble here as Brice Dulin breaches the defence. Racing 92 sub Georges-Henri Colombe comes onto the field. Ben Tameifuna departs for Racing 92. This is dangerous for the defence as Olivier Klemenczak bursts through to advance the Racing 92 attack. A gap opened in the defence and Brice Dulin took full advantage. Will Addison has kicked a conversion. 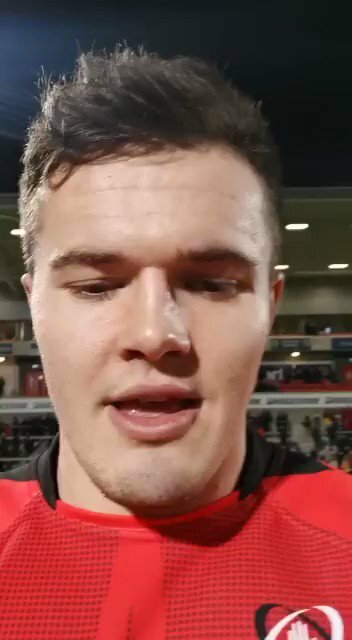 A stunning solo try from Jacob Stockdale. 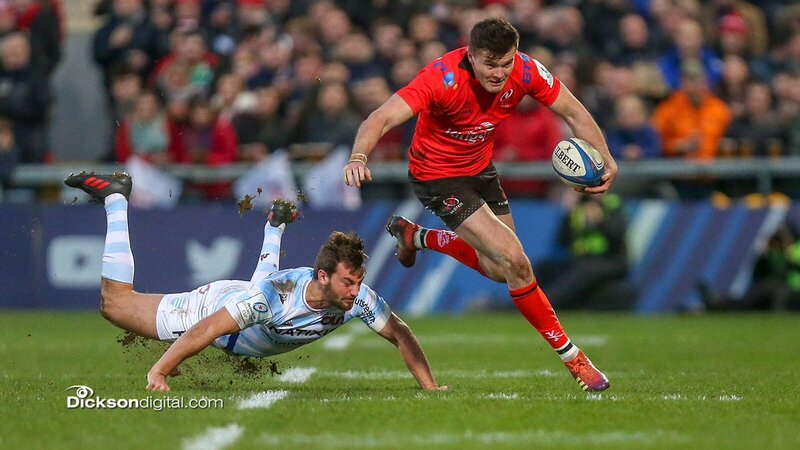 What a run here by Jacob Stockdale as they gets over the gainline!. Olivier Klemenczak comes on for Racing 92. Simon Zebo leaves the field. 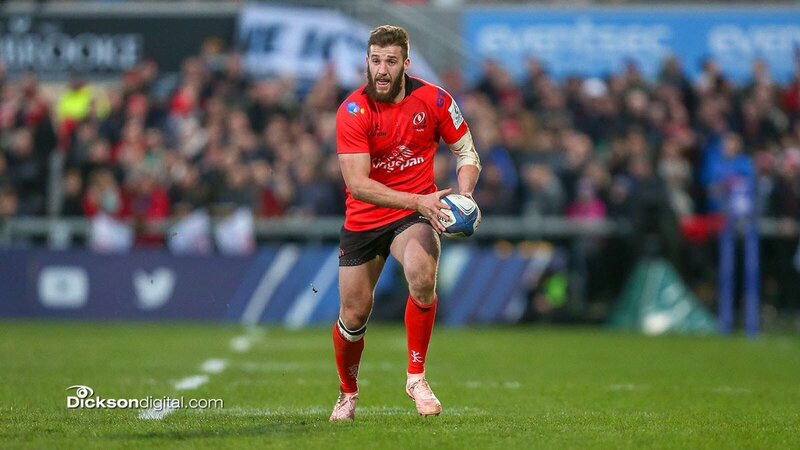 Louis Ludik makes the break as the defence re-enacts the parting of the red sea. Alan O'Connor has made 10 good tackles so far this game. Finn Russell curls the ball too far, missing the posts to the left. Fabulous play by Racing 92 has led to Simon Zebo being able to wriggle through a gap. Spellbinding play by Virimi Vakatawa is finished off with a try. Silky skills by Racing 92 ends with a try for Simon Zebo. Will Addison kicks the penalty. Finn Russell curls the ball too far, missing the posts to the right. 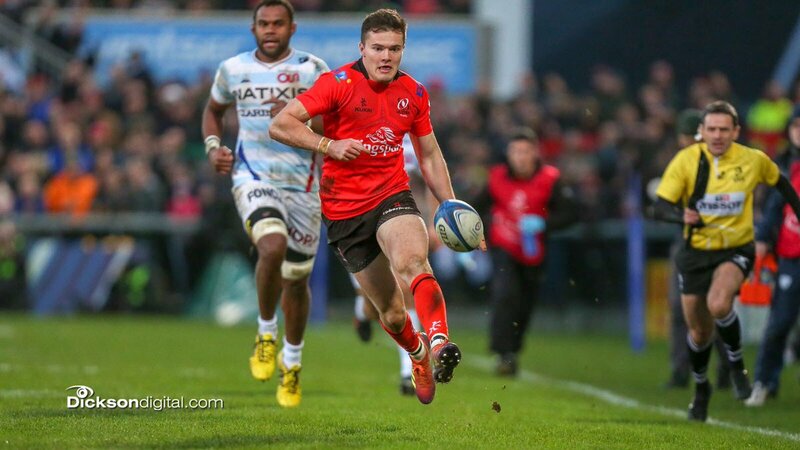 Henry Chavancy played a key part in that try. A wonderful passing move by Racing 92 is finished off by Virimi Vakatawa. Trouble here as Virimi Vakatawa breaches the defence. This is dangerous for the defence as Simon Zebo bursts through to advance the Racing 92 attack. That's a great try assist by Louis Ludik. 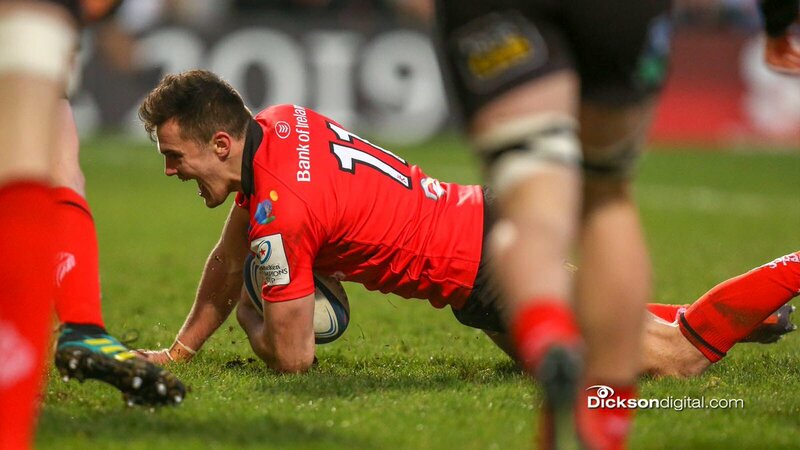 A series of passes by Ulster results in a try for Jacob Stockdale. Billy Burns has hooked the conversion to the left of the posts. Louis Ludik sets up the try. 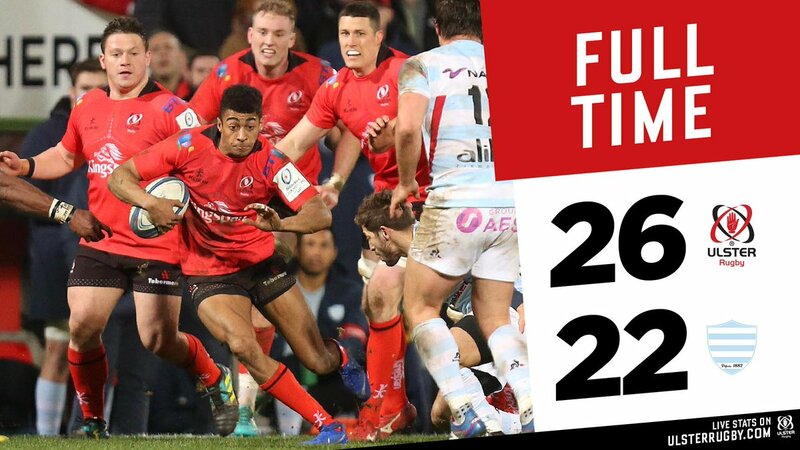 Great hands by Ulster leads to a try for Robert Baloucoune. 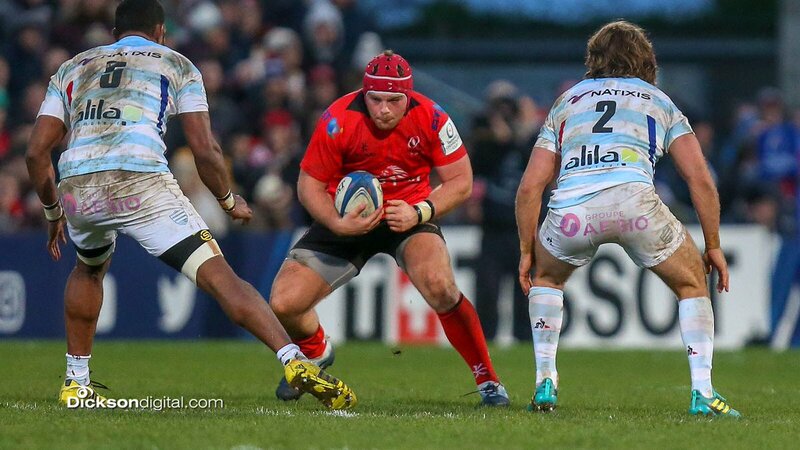 Toulouse fielded a 950kg pack against Leinster today. 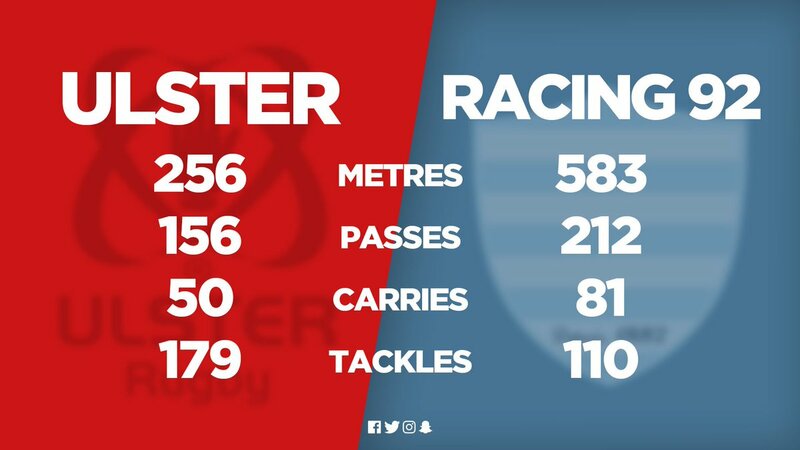 @UlsterRugby obtient une pénalité sur les 30m du Racing. Le ballon change d'une équipe à l'autre et le jeu ne s'arrête plus. 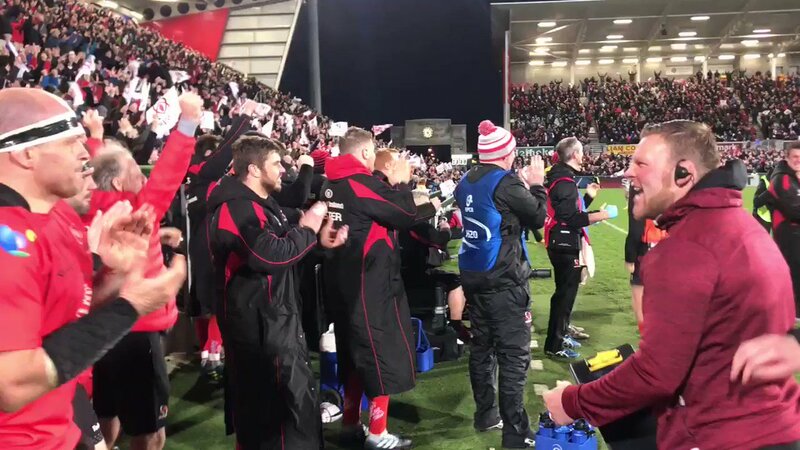 @UlsterRugby se réveille poussé par son public. 63 mins | Racing are right back in the game now, with another try! ULS 23 - 20 R92. Le Racing ne lâche plus le ballon. 58 mins | Try for Racing full back Brice Dulin. 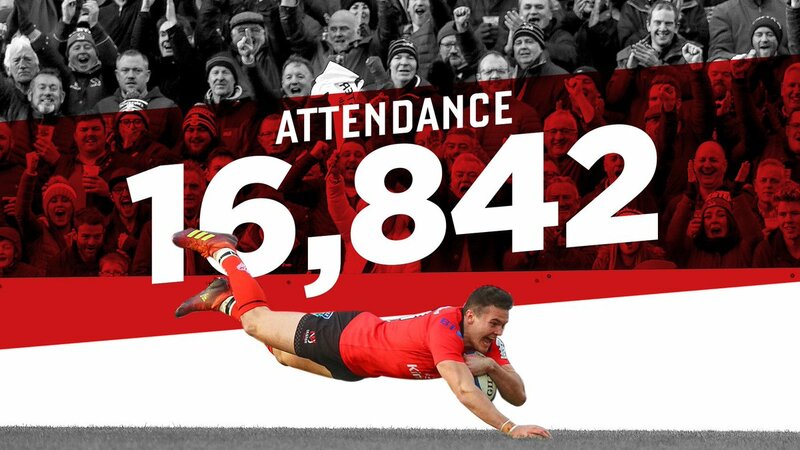 The conversion is missed, but this game is far from over!